S/4HANA projects that miss the mark on User Experience typically do so by including only UI (User Interface) Lead(s) without including a UX (User Experience) Lead. This blog aims to give project managers insights into the critical activities a UX Lead performs within a S/4HANA project implementation (over and above the usual UI app activation and adjustment). It is these critical UX Lead activities that deliver the real promise of User Experience of increased user adoption and improved user performance. With S/4HANA 1610 UX delivery rises to even greater prominence and attention – as explained by Thomas Reiss in Great User Experience for SAP S/4HANA 1610 with SAP Fiori 2.0. So much so that a key driver of most, if not all, S/4HANA projects is new user experience that delivers increased user adoption and improved employee productivity. Project managers implementing S/4HANA need to understand how the relatively new role of UX Lead delivers on the promise of user experience – and involves much more than simply turning on a bunch of new user interfaces. Since the earliest days of the new SAP UX strategy, effective user experience has been described as the intersection of the 3 key pillars People (Desirability), Business(Viability) and Technology(Feasibility). 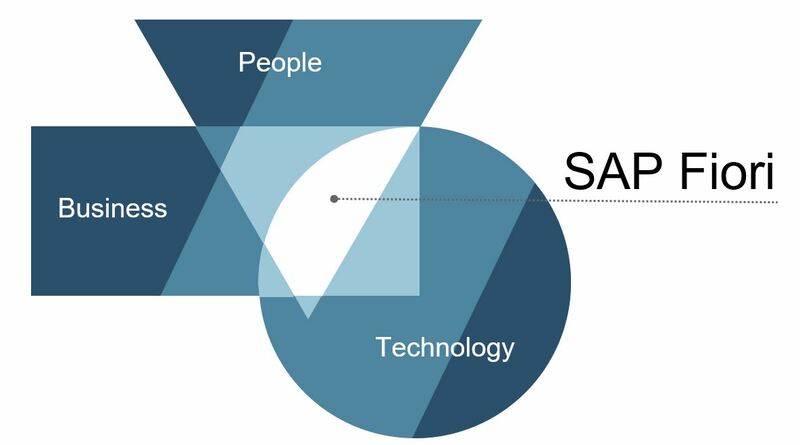 Delivering on the promise promise of user experience requires giving equal consideration to the People pillar in deployment as SAP gives to creating the S/4HANA user experiences in the earlier phases of the UX lifecycle. In the Develop Phase, the final solution is again validated with end users. The final Deploy Phase is the responsibility of the S/4AHANA project itself and this is where – without a UX Lead – end user experience breaks down. Too often we see projects delivering taking a “just turn them on” attitude to apps, leading to a fractured and incomprehensible user experience for end users. This leaves your users confused, your stakeholders disappointed and your sponsor angry. It doesn’t take much to fail – a poorly organized Launchpad alone will leave users struggling to identify which app they need for the task at hand. Nor is Personalization an adequate fix – many aspects, such as tile names, can only be fixed in configuration. Worse, waiting until after go-live to fix issues is problematic as it risks compromising existing Personalization, alienating your end user community further. Unfortunately many S/4HANA projects only plan for UI Lead(s) who are focused on the Technology or Business Process leaving no-one to focus on the People, i.e. the employees themselves. As a rule UI Lead(s) are simply expected to deploy apps, place them in the business process, and if necessary adjust apps. This alone is not enough to achieve increased user adoption and improved user performance. Especially where there may be several technical and business UI leads, with no-one responsible for central decisions, and no agreed central decision criteria for how out of the box apps should be adjusted, or which technology should be used for any additional apps needed. In contrast, the UX Lead has a laser-like focus on delivering increased user adoption and improved employee performance. These outcomes can only be achieved by ensuring the “voice of the user” is heard through user validation activities that fit with the organisation’s culture. It’s the UX Lead’s challenge to find appropriate mechanisms for user engagement and validation that respect the needs of the sponsor, stakeholders, business process owners, and the end users themselves. On S/4HANA projects we have seen so far, the need for #1, #3 and #4 become obvious during the project and end up being unplanned activities which crunch the project timeline. While #2 and #5 may not happen at all leading to failure to achieve strategic business outcomes for user experience. The most important activity of the UX Lead is to advocate for great user experience. This involves explaining needs and setting expectations for user engagement and user validation activities. As the UX Lead is an expertise role that usually comes from outside the customer’s organisation, a UX Lead works to understand how the culture of the organization can be leveraged or adapted to best include user engagement and user validation activities. It might be via workshops, interviews, web sessions, or coming alongside certain people – whatever works! A common mistake we have seen in S/4HANA projects is to think that because S/4HANA UX delivers new user experiences there is no need for a UX Strategy. Nothing could be further from the truth. S/4HANA UX contains several UI technologies and these all have various options for adjustment via: personalization; UI adaptations; extensibility options; and by combining different techniques – such as overlaying a Screen Personas “Flavor” on a SAPGUI screen. Your functional leads are also likely to identify adjustments to the delivered user experiences and perhaps even new apps. Having a UX Strategy in place minimizes confusion and avoids maverick or inconsistent solutions that break your business outcome of a delightful and effective end user experience. You may also want the UX Strategy to cover or, if already existing, at least reference naming, coding, performance, and the other usual best practice standards. A UX Lead does not merely set the UX Strategy – they are responsible for making sure that strategy is enacted. Establishing into project practice the governance framework, UX adjustment decision criteria, and design-led development. And naturally, adjusting the UX Strategy to smooth continued practice in the organisation after the project has completed. Depending on the number and degree of adjustments, the UX Lead may need to act as an end user researcher, a Design Thinking facilitator, a UX Designer, or as a defacto trainer of other members of the team in how to perform these roles. This doesn’t involve holding workshops for every single change – however it does mean making sure that the change has at least been sighted and feedback exchanged between relevant end user representatives, business process owners, and developers. Of course if you are creating custom Fiori apps or new Screen Personas “Flavors” a more comprehensive design-led development process is necessary. Once the Fiori apps and other technologies are active and working, one of the most important tasks of the UX Lead is to make sure every user’s 1st impression of S/4HANA is positive. This means ensuring the Launchpad makes sense to the end user. Just like delivered Security roles, delivered Launchpad roles should be treated as examples – fine for an initial assessment of what’s available, but needing to be tailored to the organization. We’ve seen giving out of the box roles without tailoring result in “tile shock” – users are simply overwhelmed and can’t find what they need. Once that happens you have lost user adoption benefits and it can be a long road back to re-establish user confidence and trust. Really the only people who can have the perspective and can give you insights are end users themselves. While the UX Lead takes responsibility for configuring the Fiori Launchpad, collaboration with Organisational Change Management to manage end user engagement activities is extremely helpful to optimize the launchpad for employee productivity. In our experiences so far, many S/4HANA project managers don’t yet understand the role of the UX Lead and consequently don’t adequately plan for UX activities. This leads to a failure to deliver on the key promises of user experience: increased user adoption and improved employee productivity. While the degree and extent to which these activities are needed on specific S/4HANA projects will vary, all of the above activities are essential to user experience success. Success in S/4HANA projects is heavily dependent on delivering great user experiences, not just great user interfaces. A good UX Lead not only delivers on the promise of UX, they can assist the rest of the project team and the organization itself to make the leap from Business Suite or Suite on HANA to S/4HANA. I fully agree Jocelyn. Improving User Experience is primarily about helping users do their jobs better and more productively and that involves a deep empathy for their roles and needs. Treating UX as a purely technical topic will not generate that outcome. Gartner research showed years ago that the most common cause of project failure is lack of attention to Organisational Change Management. The goals of OCM and UX are very tightly aligned and ignoring either is a recipe for trouble. Jocelyn, your post is perfect. I totally agree with your methodology. I think your chart explaining where Fiori is in the context of the business, technology and people is outstanding – mainly because it show the confluence of this major aspects: people, technology and economic (business). I ask permission to take a print and use it in my presentation. Thanks in advance. Hi Daniel, Glad you found it useful! By all means help us promote these ideas more widely – giving an appropriate attribution of course. We also have others writing on these topics and related ideas now – you will find a collection of these on our SAP Fiori for S/4HANA wiki.